This is a WordPress Premium Plugin developed by Carlos Moreira. 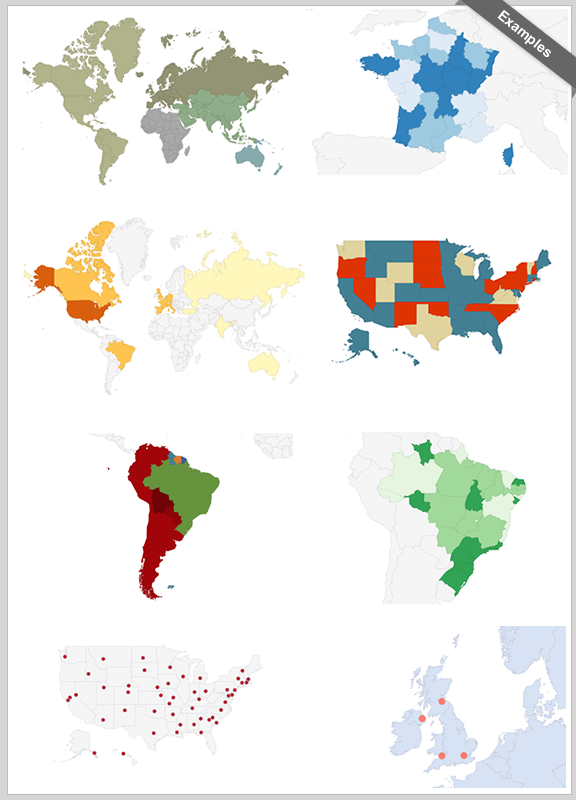 The main purpose of this application is to create online maps, displaying the world or a specific country or area, coloring regions or adding markers that can be interactive. A continent or a sub-continent´ (Africa, Europe, Americas, Asia, Oceania and all their sub-continents). The United Stated divided by metropolitan areas. As Regions – It will color the whole region, for example a country, a country province, or a US state. A Tooltip – A tooltip will be displayed by default on hover with the information you provide. 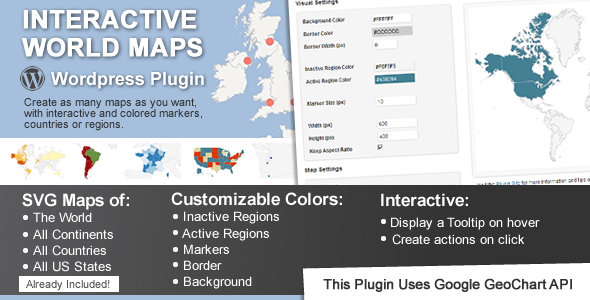 This plugin uses the powerful Google Geochart API that creates the SVG maps that this plugin displays. As the google API updates, this plugin will also update to deliver the best possible experience when creating interactive maps.